Laploy Vanichangkul have been working in professional IT consultancy business for ten years. 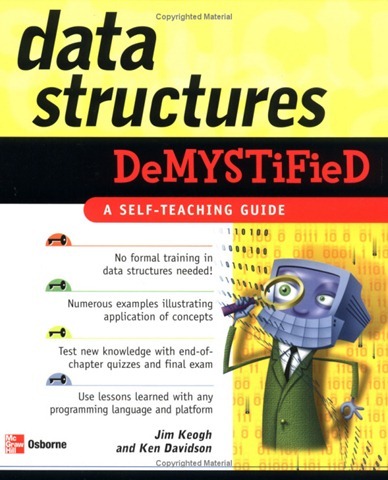 He started his carrier by develop business application using dBASEII, clipper and FoxPro. Today he is an expert in system integration using Microsoft technology such as ASP.NET, ADO.NET, Microsoft SQL Server 2008 and LINQ. It is a normal work day for him to deal with complex query that solve complex business rules. He have good experience in Data mining, Data Warehouse, OLAP (SSRS) and OLTP. 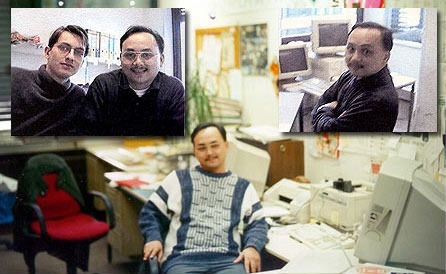 He used to work in the international organization in area of database and Business Intelligence. Beside database and Business Intelligence, his IT knowledge also apply to Microprocessor / Microcontroller Based Embedded System, Rich Internet Application, Framework Development in Object Oriented Programming using C#, NET Framework and Service Oriented Architecture for Enterprise Orchestration. 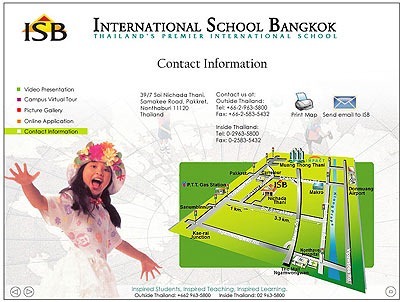 Laploy Vanichangkul speak fluency Thai and fair English. He have been working in IT projects in many countries include Thailand, India, Germany, Switzerland and The U.S.A. He have traveled throughout Europe and the U.K. That help him to understand the European custom and culture. 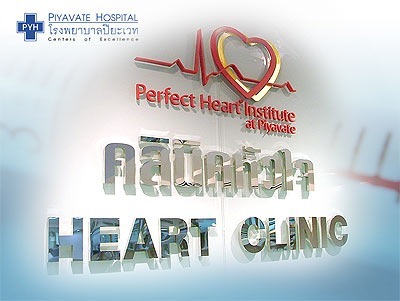 Recently, Laploy Vanichangkul gives IT consultancy to Thailand leading organization include TOT, CAT and Jasmine. 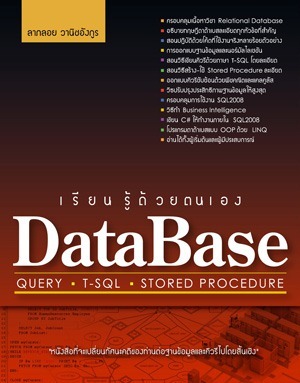 He also have many publish book such as OOP C# ASP.NET” (ISBN 13:978-974-212-598-1) and Database – Query – T-SQL – Stored Procedure and regularly write articles for IT periodical. • Over view: The SCADA applications include the distribution network model, connectivity analysis, power flow, fault isolation and system restoration, trouble call management, and volt/var control functions. 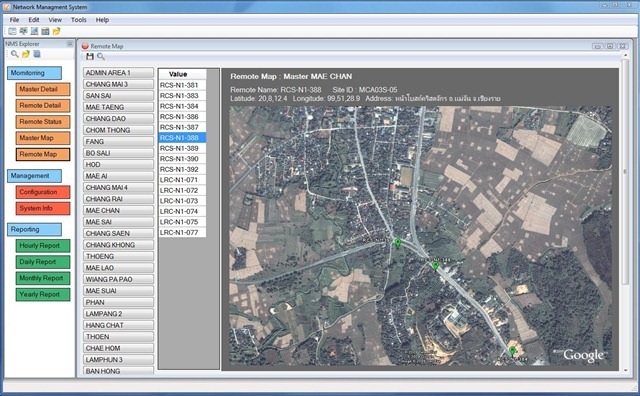 The distribution network and graphical displays were imported from the corporate GIS using the GIS-Gateway. These systems allow PEA to manage the operation of the distribution system in real-time, and provide tools that identify ways to optimize the network and improve the quality and reliability of service. • Approach: Area Distribution Dispatch Centres (ADDC), communicate with over 8,000 remote terminal units and Substation Automation Systems. The RTUs communicate with each ADDC using the DNP3 protocol over a combination of digital microwave, TDMA, telephone lines and UHF radio links. 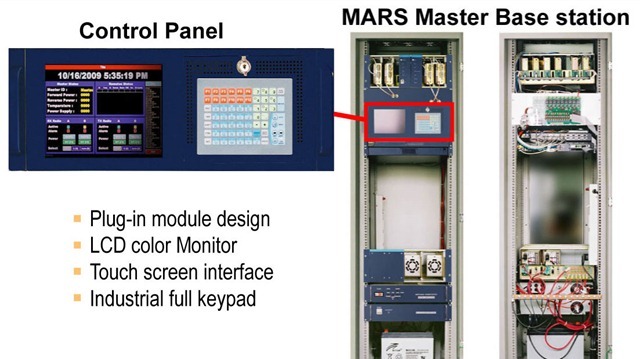 • Development: I have designed the hardware and software for MARS (Multi Address Radio System) Master that communicate with RTUs via UHF link. • Over view: Network Management System (NMS) is running at each new ADDC that will he used by Authority personnel for network-wide diagnostic monitoring, maintenance, and configuration of the UHF communications equipment, i.e., the MARS master radios, multiplexers, and remote radios. • Approach: The MARS NMS software shall support the communication of diagnostic data from all MARS radios within a MARS radio cell. 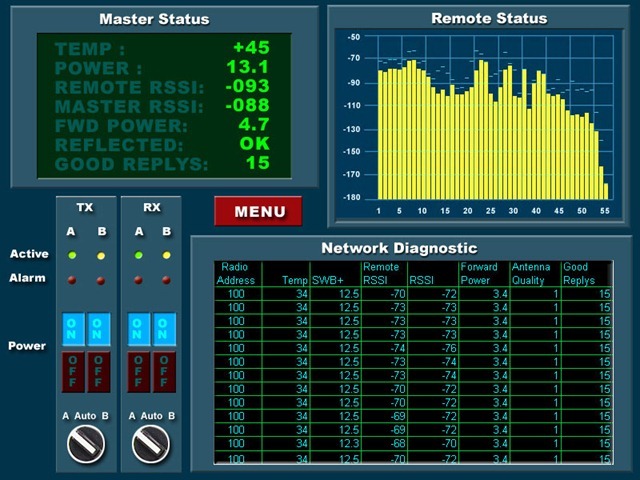 The software shall connect to all master radios in the MARS communications system via dedicated modem, or hard wired RS-232 link.. Each master radio and remote radio shall have a unique diagnostic address. 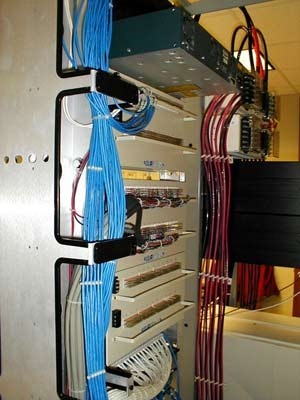 • Development: I have designed the hardware and software for Network Management System (NMS). • Over view: Telecom shelter for cellular telephone cell sites in Thailand are suffering from heat and humidity. To maintain reliability of a cell site circuitry, three air-conditioner are brought in and set to run eight hours per unit in circle. Electric consuming and maintenance cost of cell sites’ air-conditioners generate major expense. • Approach: Since most upcountry cell sites are located in remote area. Access to those shelter are time consuming and expensive. To minimize on site visit for scheduled checking. 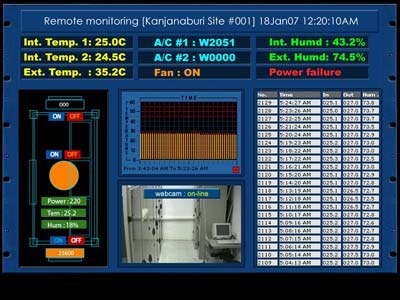 The shelter temperature and humidity must be carefully monitoring. Also unusual electric consumption of the air-con must be aware. 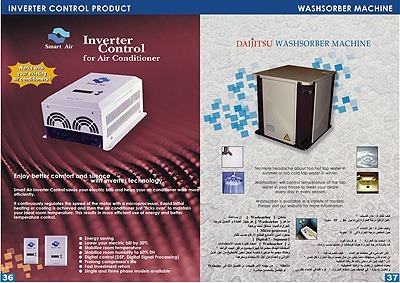 • Development: I designed a special microcontroller circuitry to captures temperature, humidity and electric consumption data. 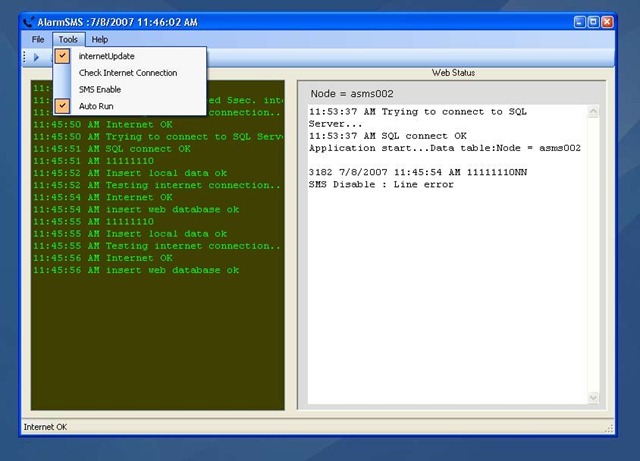 Utilize the RS-232 interface and a PC running Windows + NET Framework to collect data and record in the off-line MS Access database. These data then automatically sent to Internet and stored in MS SQL Server every ten seconds interval. Information can be export to MS Excel for off-line analysis. On-line analysis also possible include line chart. Program has been test and work well in both Internet Explorer and Mozilla Firefox web browser. 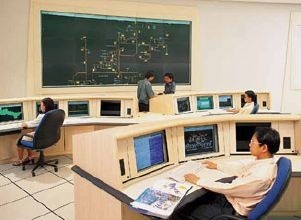 • Over view: Last year TOT loss over 10 millions Baht due to telephone cable robbery. The robber cut telephone cable from electric pole in deserted location. • Approach: TOT need a system to notify police before the robber leave the scene. I develop a system which monitoring the telephone cable health. The SMS will be send to police mobile phone as soon as the system found telephone cable disconnect. 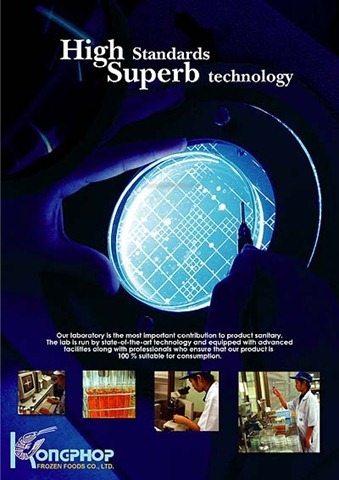 Development: I designed and create hardware and software for this project. I use cheap PC and simple cable monitoring circuit. The circuit connected to one free telephone line on the monitored cable. C# program in the PC will continually send line status to a web server. Server-side program (also in C#) will send SMS as soon as its found a bad bit. 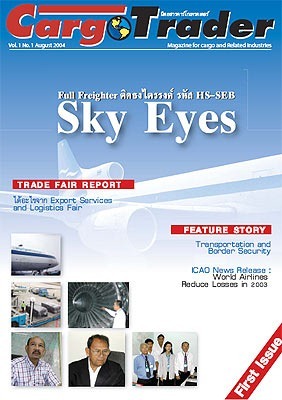 • Over view: Thailand2buy is a reseller in Bangkok whom export Thai products to the USA and Europe. They wanted to have an on-line catalog which buyer around the world can access all product information before make purchase in volume. 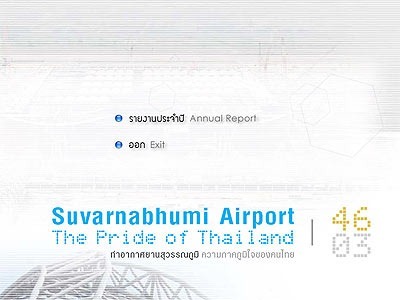 • Approach: Thaiand2buy needs a website with dynamic content. They must be able to add, remove and edit all product information anytime by themselves. 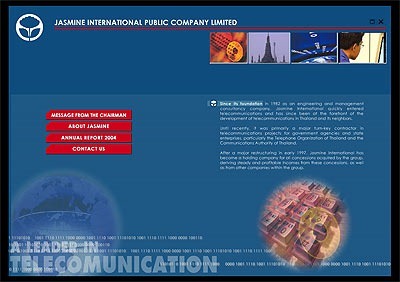 Development: I made website design, both structure and artwork. I create web application model in ASP.NET 2.0 and C#. 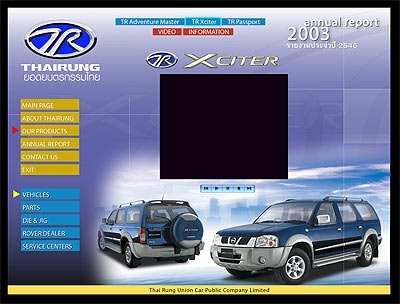 This application include product database authoring and user right management. This application will run in any computer with standard web browser. One of its may interesting feature is “Currency calculator” which cleverly employ C# delegate and Web service technology. The application is designed with OOP in mind. It is highly customizable. All codes are reusable and can be tailor into a new web site rapidly. 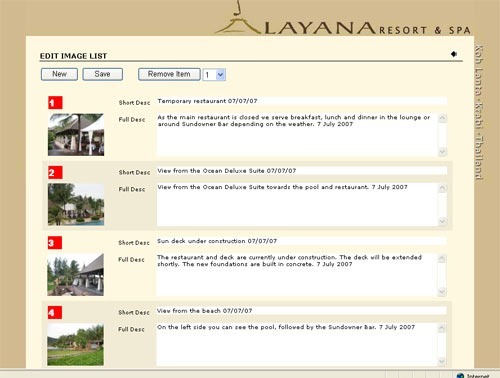 Client : Lanta Land development Co., Ltd.
• Over view: Layana Resort is well-known five stars resort in the Lanta island, south of Thailand. 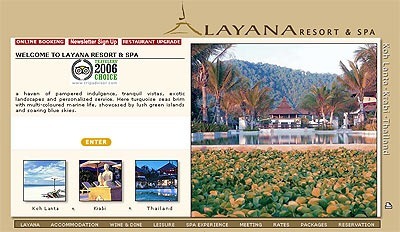 Lanta Land wants a full features website which include information pages, photo gallery, rooms rate, packages information, room on-line reservation etc. 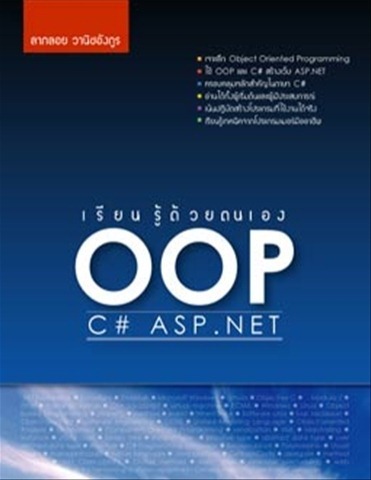 • Approach: I designed all static pages in plain HTML and dynamic pages with C# in ASP.NET 2.0 for room reservation. Development: These are some height-light feature. 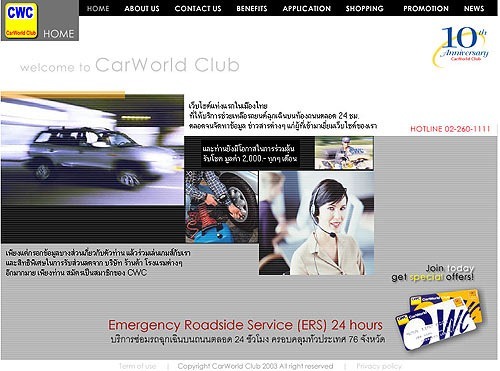 Client : Club Car Thailand Co., Ltd.
• Over view: The client need to improve design of the website from old-fashion to modern-look design. Also want to add on-line car rental system. • Approach: Redesign the website using PhotoShop and Adobe Illustrator. On-line application was done with PHP script. • Development: These are some height-light feature. o Flash Animation: Some graphic is done in Shockwave technology. o Membership submission : The visitor can submit for special membership offers (written in VB Script). 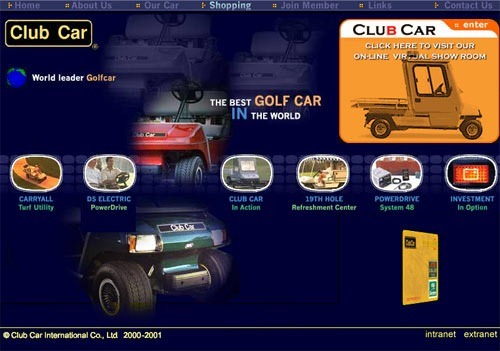 o Extranet: On-site club car personal connect to website for car rental status (written in VB Script). Key technology: ASP, VB Script, MySQL and PHP. • Over view: The need of custom multimedia presentation for organization and product grow beyond in-house personal can cope with. The demand for easy to use yet powerful enough multimedia authoring tool has rising. • Approach: The client decided to develop their own multimedia authoring tool to use internally and to provide service to their clients. • Development: I have designed a low cost and easy to use multimedia authoring tool to served the requirement. 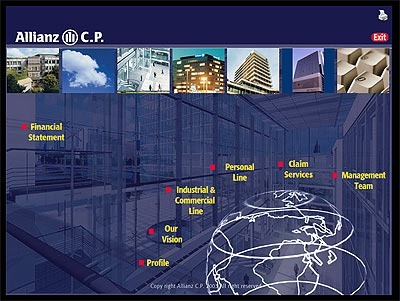 • Over view: The client company is a world-wide business directory publication with several million of customer information in the database. The requirement was to present client data, include product picture, video in the sophisticate manner. 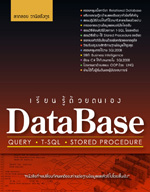 • Approach: The best solution was to develop Presentation layer beside from logic and database layer. • Development: I have designed Presentation layer wish be able to show text, picture and video on demand.